Unwind Urself ~ Shop @ India Circus. A friend of mine shares on my Whatsapp wall a quote which reads " Two Things Which Make Any Girl Happy Are ~~ I Love You and 50% Sale". 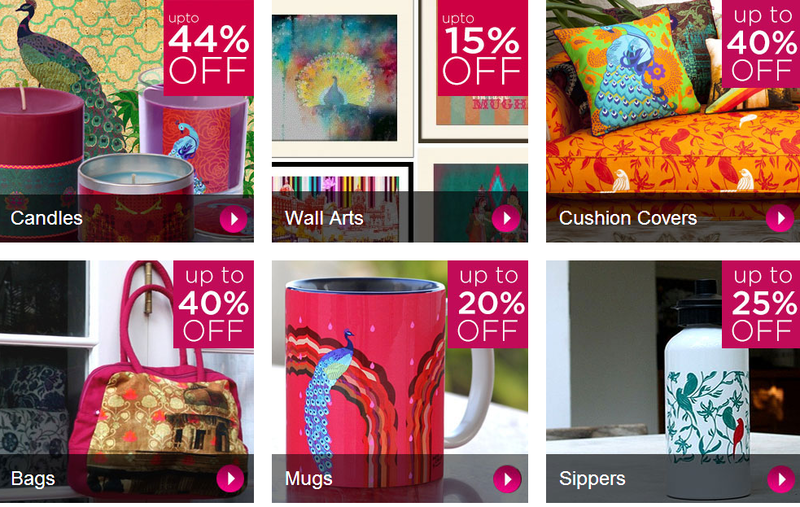 50% off, Happy Hours Sale, Clearance Sale are synonyms are magnanimously related to shopping. 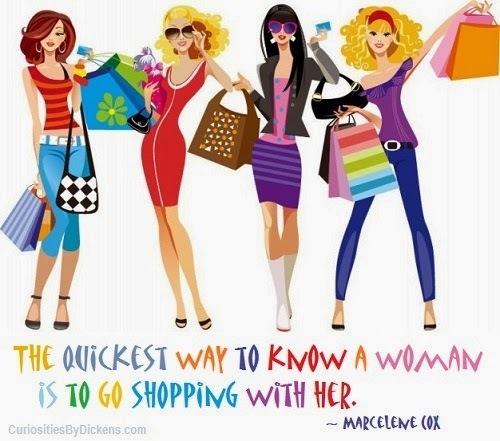 For most of us they are just excuses to shop. 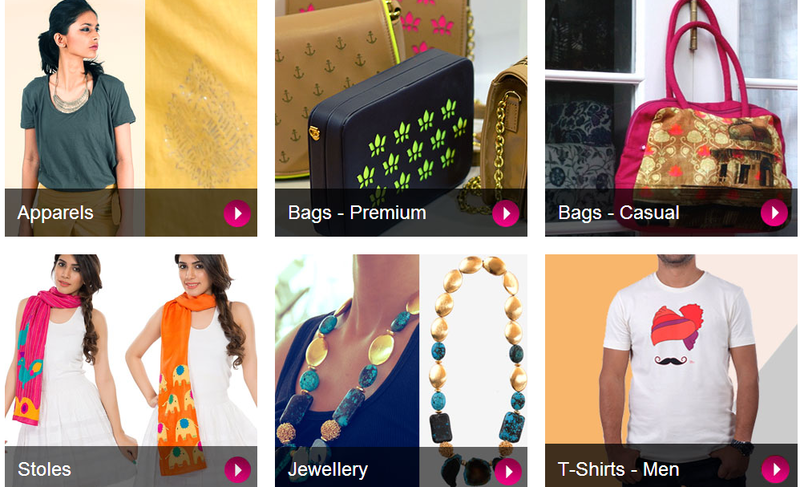 These days online shopping is paving way for new trends and bringing us the best from all around. With loads of online shopping experience (claiming so) and with some hand burnt experiences, I wanted to share something real exciting. We have many sites online selling loads of goodies like clothes, crockery, footwear, electronics, kitchen appliances etc and the list goes unending. So am I... I go head over heels for online stuff and finding the right designer labelled goods online is very rare and sometimes not worth for the money quoted. In the quest for finding those chic, contemporary, unique and affordable accessories I land on this India Circus Site. 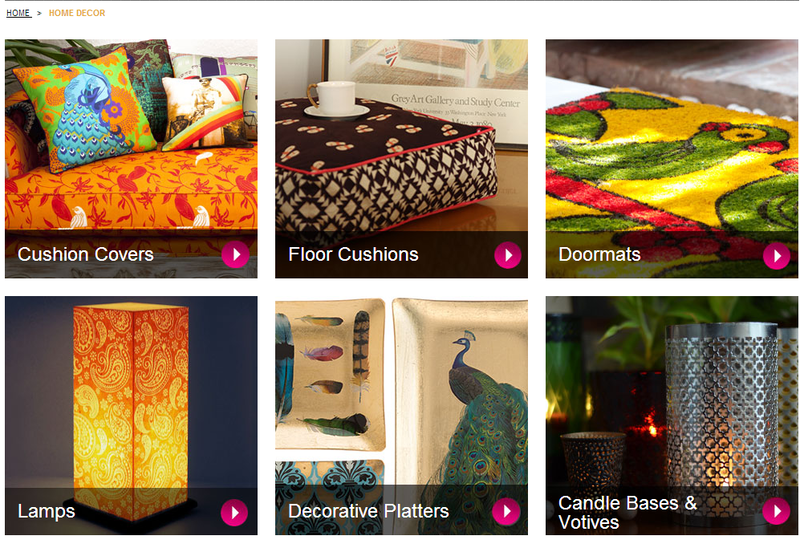 I must say that this website looks very well organized showcasing contemporary yet affordable goods touching our lives on a day to day basis which range from Home decor to personal accessories. Gone are the days people used to look at Fasttrack watches with awe... now its all designer. Just redesign your old Fast track watch and see how it makes a style statement of yours. You can proudly flaunt that its a designer piece. 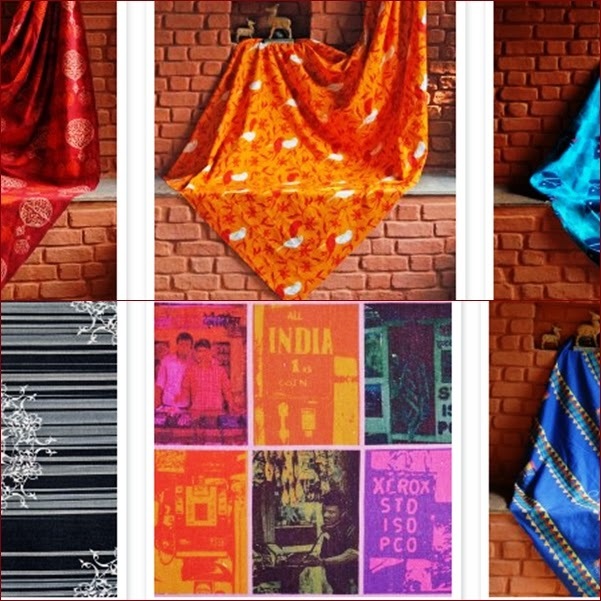 India Circus has transformed idiosyncratic, rich ,historical yet out of reach experiences into designs and people's ideas into thoughts and wove them as clothes, accessories. I am not someone who would like to have a simple flower on my bed sheet and that doesn't mean that I wouldn't run for some exquisite designer bed sheets. I would also not deny the fact that I would love to have something resembles my taste on what I sleep cozily and lose myself in dreamland. India Circus is answer to those lavish spread of designer extravagances. Let's take a walk around and explore the website. Join hands with me in this journey. I am sure that you would run to the website even before we complete this post and not miss the current sale and some awesome collections. 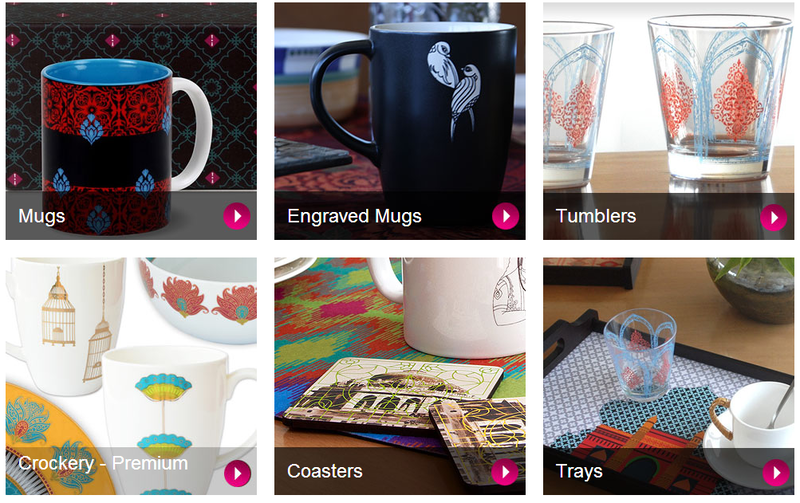 Hey we talked about the website and the collections... How did we miss on the designer? I always make sure to check contact us/ Faq options to understand the fine prints and their policies. Their chat now option put me at ease and their customer service was very courteous and polite answering my endless questions. Smile.... That's a reason to buy. 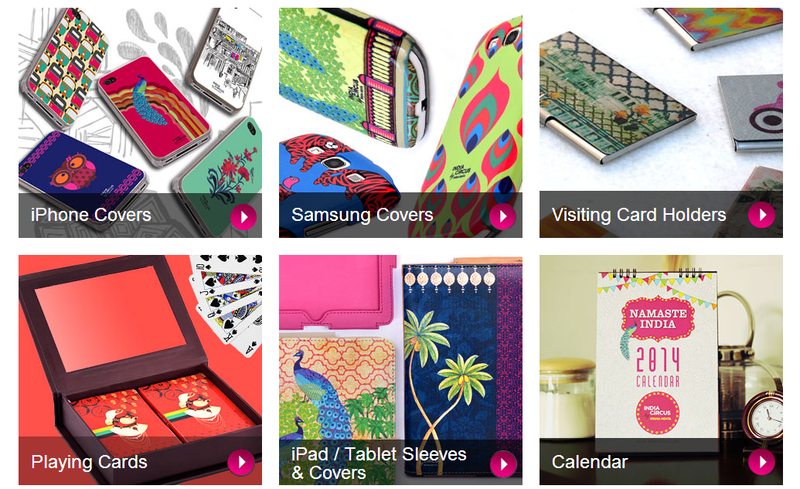 I will share another reason to buy from India Circus. 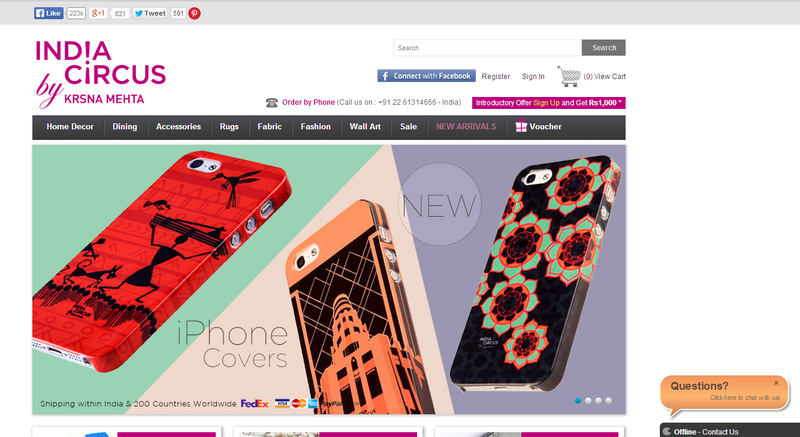 You get a flat 1000 RS coupon once you sign up for their website. That's Kewl..... I am gonna jump in for something like that. I selected 2 t-shirts which give me that uber cool look and also self sufficient me with all the chances to flaunt in front of my friends and also give them a reason to be jealous of. Only thing that was little concerning was the size of the tshirt as I ended up getting loose size which could be avoided by having a size chart on the site. But the team was happy to help me with an exchange. It's an awesome experience that one should have and own designer pieces. Hey also remember that incase if you are looking for gifting options, then you also have gift hampers which will double your loved ones joy. So ladies.... coming festive seasons pamper yourself with some Ultra Chic stuff. Oh my god... I am shocked to post another dish adding to my breakfast Ballyhoo here. Its been real long that I tried out something real nice because I always tend to save my stomach thirsts with Sandwich, Maggi or with couple of digestives and green tea. 3 days of holidays got my kitchen breathless with repeated bangs and chokes of Seasoning. I cooked elaborate meals right from Breakfast to Dinner and that's least of me. 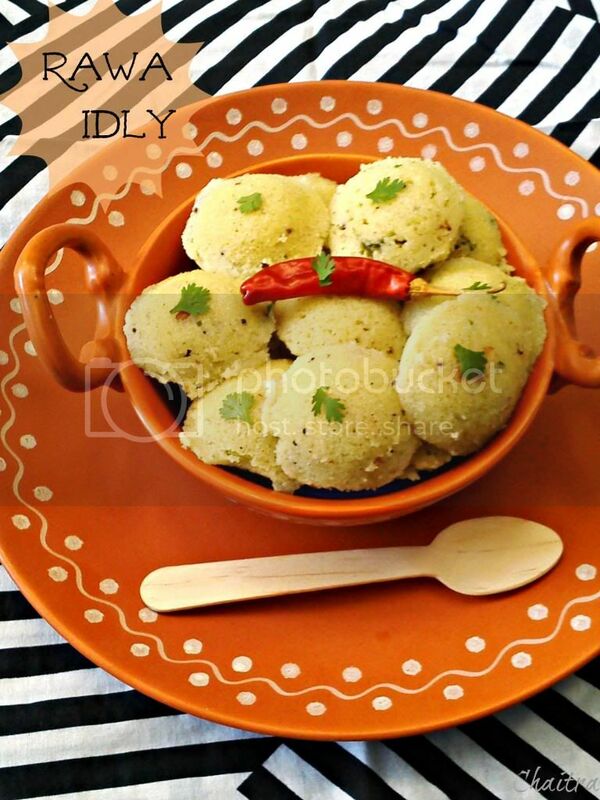 I love idly especially the one they serve at our cafeteria. It is called Mr and Mrs Idly, this outlet is always busy with people helping themselves with Snow white idlies, Crisp Vadas topped with piping hot sambar and generous amounts of Chutneys. 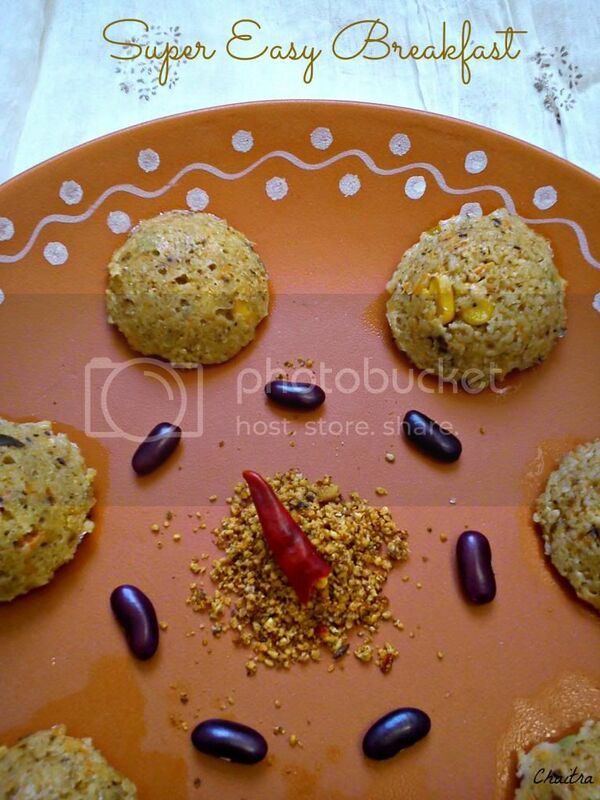 After trying out oats idly, I wanted to explore different versions of Idly without disturbing idly's natural taste. 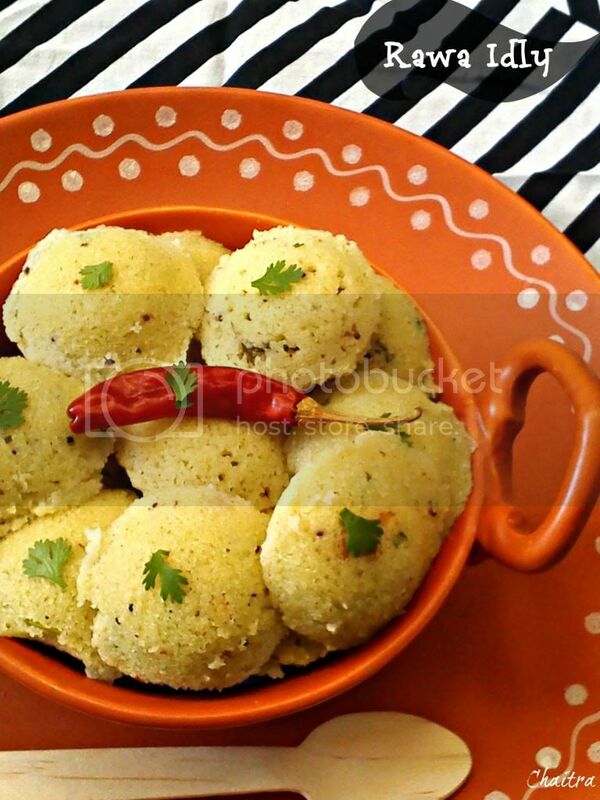 When I tried out this yummy and flavorful idly, I regret as I type that why din't I try this recipe earlier when it doesn't call for anything soaking, grinding and fermenting. Add one tbsp of oil in a pan and splutter mustard seeds, curry leaves, ginger and chana dal. Fry for a minute and keep them aside. In the same pan, roast sooji until slightly golden brown in color. It takes about 2-3 mins and take care not to burn sooji. Take a large bowl and add sooji, seasoning and all the remaining ingredients except eno salt and water. Once you mix curd, check if the consistency is like idly batter. If not add little water to get the consistency. Add chopped coriander and add eno salt. Your mixture is fizzy and becomes frothy. Mix Well. 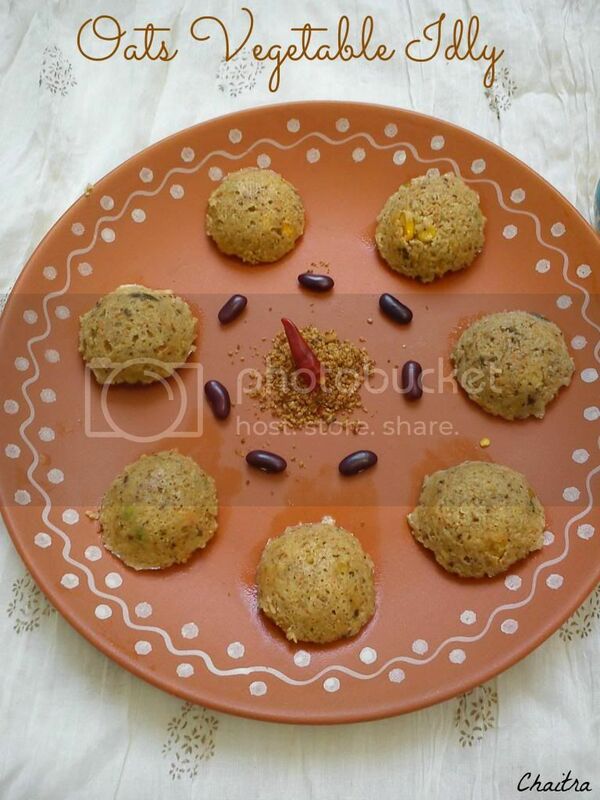 Grease idly mould with remaining oil and drop half a spoon of prepared idly batter to the mould. Place the idly stand in a pressure cooker or in a idly maker. Cook until done. It takes about 8-10 mins not more than that. Just insert a tooth pick inside, if your tooth pick comes out clean your idlies are done. Else continue for another 3-4 mins. Do not allow the idly mixture to stand too long after adding Eno Salt. Cooking Soda equally does the job of Eno. So you can bank on it in the absence of Eno. 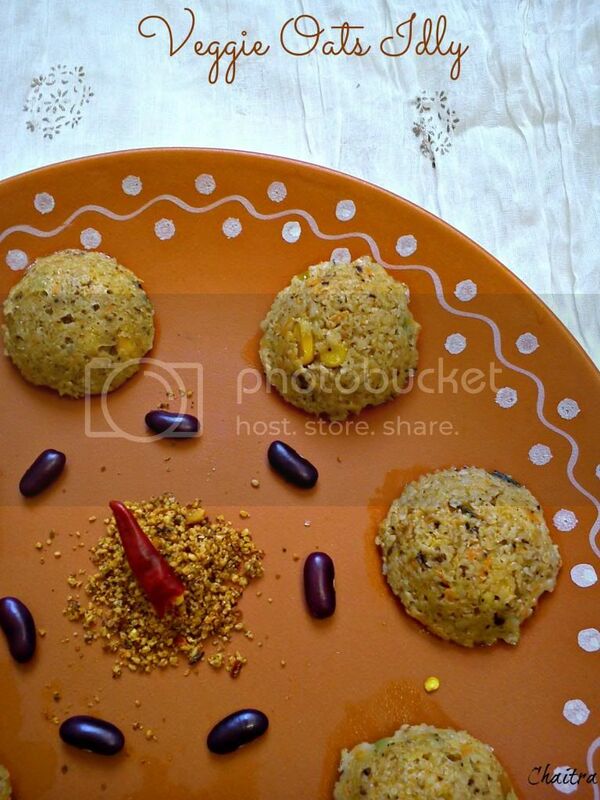 You can add choice of your veggies to the batter like grated carrot, sweet corn, green peas etc. Do not over fill the moulds as your idlies tend to fluff up once cooked. Sweet Corn, green peas, and grated carrot- 1/4 th cup or little more. Dry roast oats in a skillet for roughly 3-4 mins or until they start emanating nutty aroma and turn brown. Powder them in a grinder and keep it aside. In a frying pan, heat oil and fry chanal dal, jeera, mustard seeds for about a min. Add curry leaves and asafoetida to this mixture. Once done with seasoning, throw in all the vegetables and fry them for about 3-4 mins, add cracked rawa and combine all the ingredients well. Fry for 3-4 mins. Transfer this contents into a large bowl and add all the remaining ingredients. Make sure that your mixture is not too thick or runny. It should be of medium consistency. You can refer to the stepwise pictures for your reference. Gently drop this mixture onto the plates. Add only half a spoon as idlies tend to fluff up once cooked. Place the idly stand in a pressure cooker. Cook until done. Usually it takes 15-20 mins. Mine took 20 mins. Scoop the idlies and serve with any chutney of your choice. Make Oats powder in advance and this will put you at ease. Feel free with your veggies. My friend says that she added little sambar powder and roasted peanuts. She said that it was awesome. I am yet to check that out. This version of mine tastes good and healthy. If you are not a health nut, you can even try using some roasted cashews as well. And so being with North Indian friends esp the one from North East, I get to taste many recipes from their lunch boxes every day during our midnight dinner. During our casual conversation, my friend Mr.P who is so much in love for his Assam state says that its been real long that he had some typical Assamese dish and asked me if I can prepare Luchi for him. Surprised at his request and unaware of Luchi, I din't bother to respond and just smiled away. I did make it a point to search what's Luchi and what goes complementing it? I found out many luchi recipes with variations. I combined two and here's my result. Though this recipe calls into go with Dum Aloo or some spicy dry curry. I settled in with a curry of mine which tasted pretty yum. 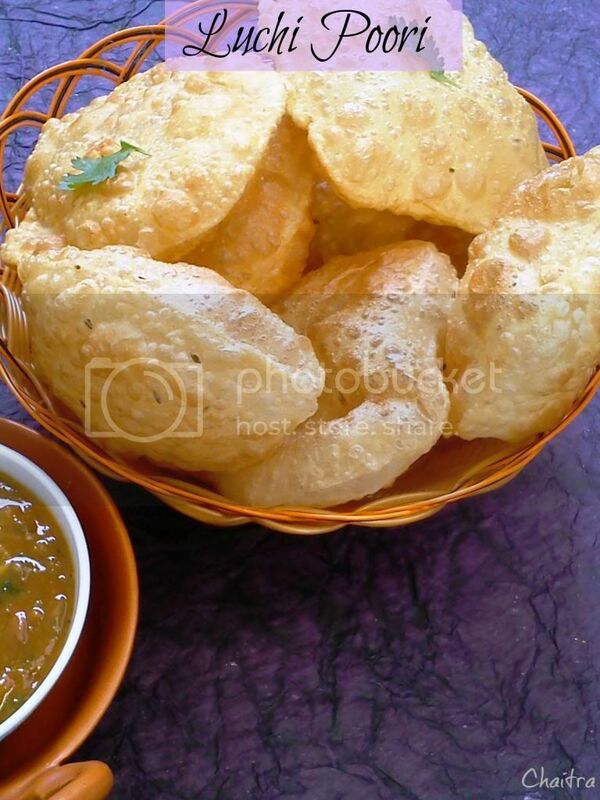 I can't take oiliness of poori so I do not prefer it unless I am left without any option. 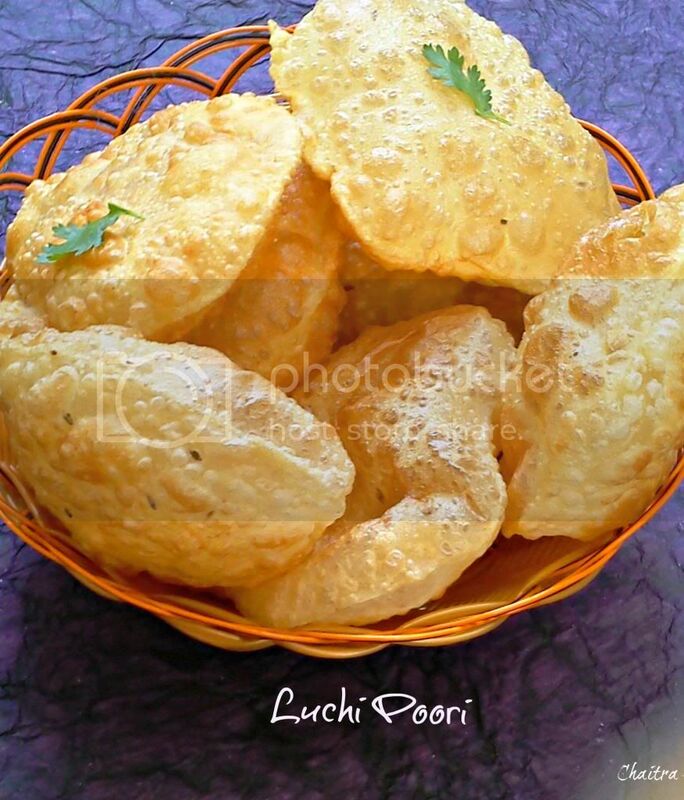 But Luchi developed liking in me and its not too oily and soft. So definitely it gets a yes please from my end. So let's get on the road. Baking powder or soda- 1/2 tsp. Combine all the ingredients in a bowl and knead it into soft pliable dough. Cover the dough with a moist cloth and allow it to rest for 30 mins to 1 hour. After 1 hour, knead the dough once again and divide the dough into small equal proportionate balls. Take each ball and roll them into a circle of 2 and 1/2 diameter. Repeat the same procedure with all the dough balls. Heat oil in a heavy bottomed vessel. Take small portion of dough and drop it into oil. It should steadily come up which is an indication that you are good to go. 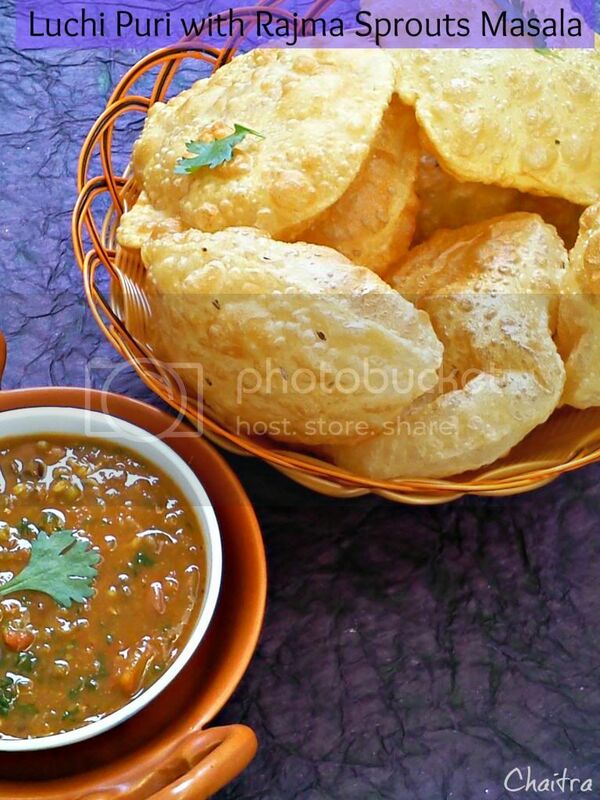 Take each rolled puri and fry it in oil. Gently nudge the puri with a slotted spoon when it puffs up. Gently turn it to the other side and fry it. Your luchi will be in pale white in color or slightly brownish if you are using whole wheat flour. Transfer it onto a kitchen napkin and squeeze the excess oil. Serve hot with any dry or gravy based curry. I served mine with Rajma Sprouts Masala... This recipe is in queue. 1) You can use 2 cups of all purpose flour. Being a health freak and lover of green tea, I chose 50% all purpose flour and 50% whole wheat flour. 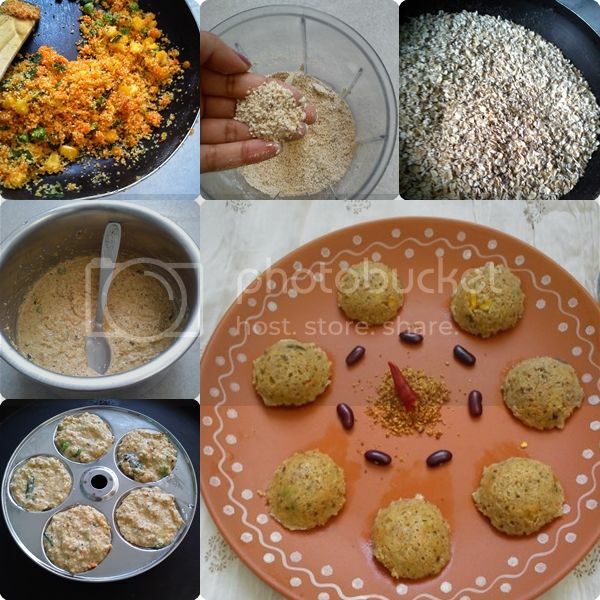 2) You can avoid using Jeera, I just used it for slight flavor.